Home » Will PS4 Be Able to Play 4K XAVC-S Footage on a 4K TV? Will PS4 Be Able to Play 4K XAVC-S Footage on a 4K TV? For PS4 (PlayStation 4), it's good to use them as your home video game console for the HD 1080p resolution and if you equipped a 4K TV, then the playing experience will up to a higher level. 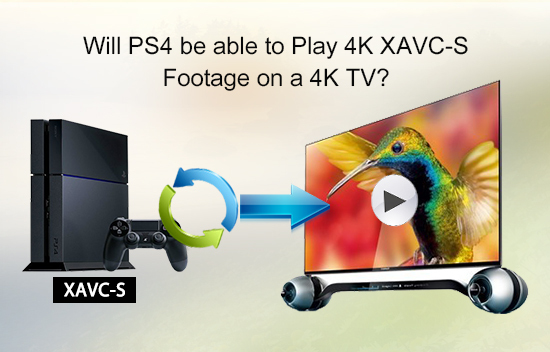 But here is the problem about how to make the 4K XAVC-S video through PS4 for enjoyment? If you like to play games on your 4K TV or enjoy videos on a bigger screen not only on your Mac but also want to stream them on your TV, then PS4 may here to help. To connect it to your TV, you can enjoy the vivid videos and experience the most wonder gaming time. But this functional one app do have its little problem, for the 4K world has already come , how to playback some XAVC-S 4K footage on 4K TV via PS4, it that possible?For this section will detailed the start step, while this article we will take about how to make XAVC-S 4K compatible with PS4. Pavtube Video Converter for Mac will be your best choice to make your XAVC-S 4K videos for PS4 while maintain the 4K quality on your 4K TV. With the build in editor , you can also do some simple edits on your raw videos to share with your family and friends. Fast conversion and easy step will make the 4K experience even better. How to make PS4 compatible with 4K XAVC-S to playback on 4K TV? Download this converter on your Mac freely, the trail version will have a watermark on the middle of the converted files, but other functions are the same as the full one. 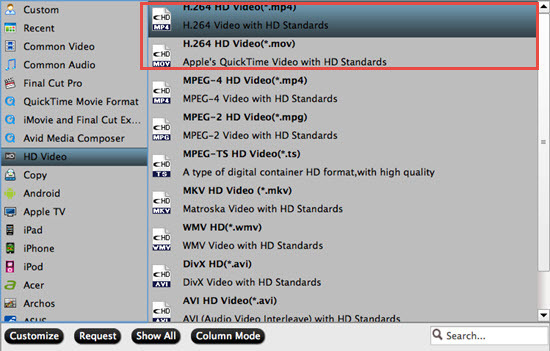 After installation, run it on your Mac, then click "File">"Add Video/Audio" to load your raw XAVC-S 4K videos. 1.Some users may encountered the problem that they can't install this app. Please make sure the Mac OS compatible with our app. We can support the latest Yosemite but 10.4 OS X can't be supported. *Look for "Allow applications downloaded from" and choose "Mac App Store and identified developers"
After loading , go to this "Format" list to choose the proper format. There are PSP/PS3 preset for you to choose or your can customize your own format. Here suggest you this H.264 MP4 format which may be the best compatible format for your 4K TV, no matter which brand you owned. 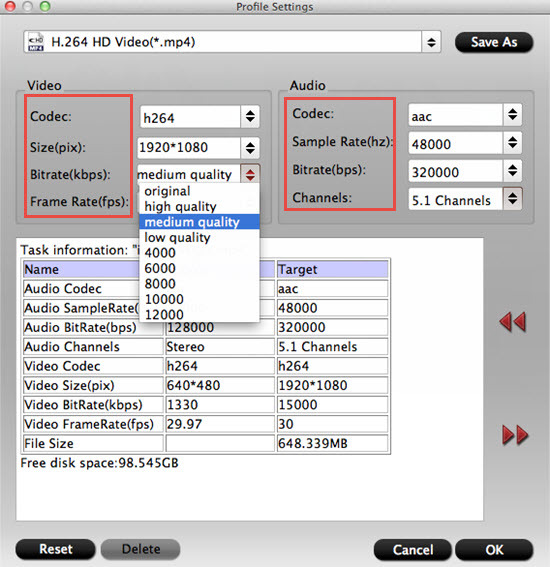 Click "HD Video">"H.264 HD Video (*.mp4)" as your output format. Step 3. 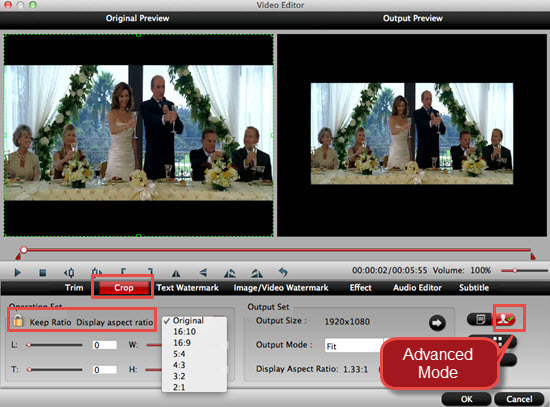 Adjust parameters to maintain the 4K quality. If your raw video is 4K and you want to maintain the quality, then you can click this "Settings" to go to this UI. Here we can see the default Size (pix) is 1920*1080. If you want to enjoy the comfortable viewing experience , then this may be a better choice. However, if you want to keep the 4K quality while there is no 4k parameter to choose , no need to worry , just click "3840*2160" in the following box. If there are some unnecessary parts in your videos, you can choose to edit them in NLEs, like FCP, Adobe Premiere Pro, iMovie, etc, or just simply use the build-in editor which will save you bunch of time. Add subtitles or watermark for fun, adjust Aspect Ratio to fit your player better, etc, all can be realized by this editor. After setting the file location, then click this "Convert" to start to transcode 4K XAVC-S to H.264 MP4 for PS4. 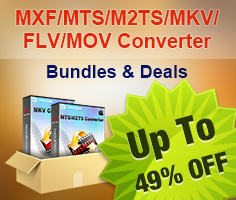 If you have a plenty of XAVC-S files need converting, you can do batch conversion, but the maximum conversion number is four. For that, you can choose "Shut down computer after conversion" and then leave it run. Detailed guide for PS4: how to install, how to use , etc. for beginner.